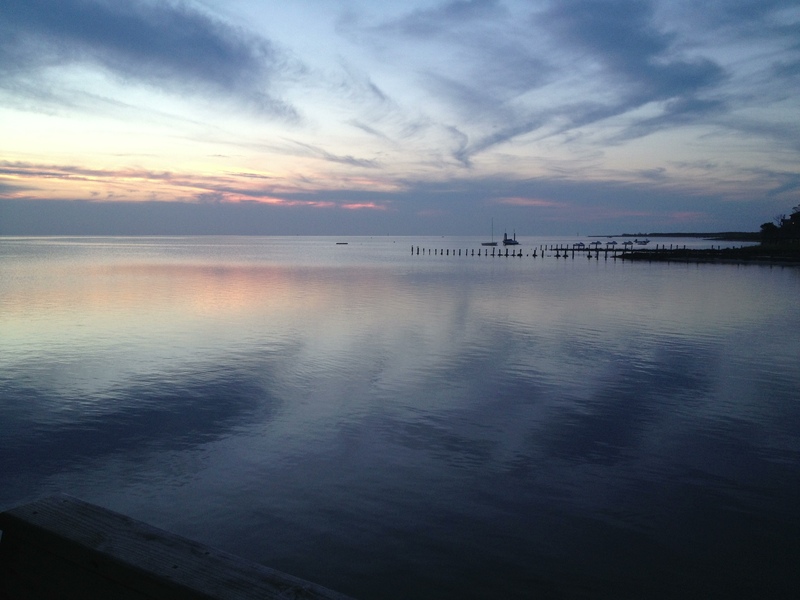 Greetings from the Outer Banks of North Carolina, where we are enjoying a lovely week at the beach. This is the first time any of us have been to North Carolina, and we are very impressed with the beautiful beaches and warm, friendly southern hospitality. We’re vacationing with long-time friends who also have three kids, and our meals and cocktail hours together have so far been delightful. Last night we enjoyed some fresh caught red snapper from the fish market next door. It was originally supposed to be taco and margarita night, but the state of NC had other plans for us. Apparently no hard liquor can be purchased on a Sunday in this state, much to the dismay of my heathen heart, so margarita night is rescheduled for Monday. My work friend gave me this quick and easy recipe that immediately appealed to my trashy side. It seemed like the perfect dessert to prepare for a beach vacation or any other need-a-quick-crowd-pleaser-dessert type occasion. I know I probably write like I think I’m too good for Cool Whip, but I’m really not. Well, okay, maybe just a little. Anyway, this dessert could not have been any easier or more of a hit. Minimal effort and maximum praise makes it a big winner in my book. I followed the directions exactly, and it turned out very well. Since I’m not at home and have limited supplies, I didn’t have the time or inclination to tweak it. However, in a perfect world, I would probably make my own graham cracker crust and top it with real whipped cream. The original recipe appeared on allrecipes.com by cook Christina right here. 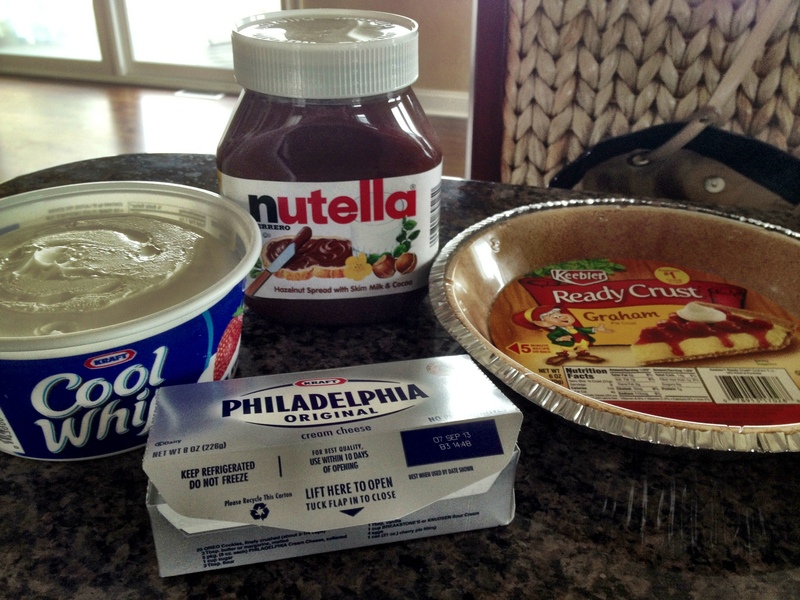 Spread 1/4 cup of the Nutella on the bottom of the pie crust. Whisk together softened cream cheese and remainder of Nutella. Fold in Cool Whip. Pour into the pie crust and spread evenly. Refrigerate at least four hours or overnight. Just four ingredients, CAN YOU STAND IT? 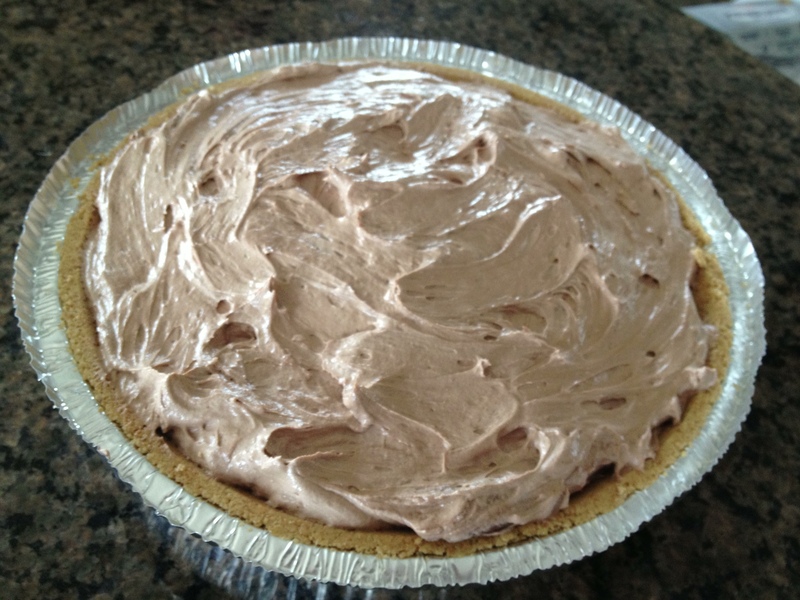 This entry was posted in Desserts and tagged easy desserts, Nutella pie, Outer Banks vacation by Mom Mom's Apron. Bookmark the permalink. I bet the kids just went crazy over this one!